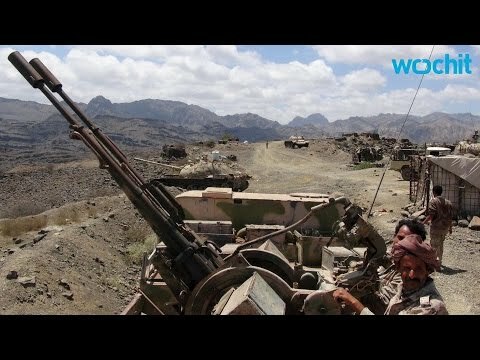 SANA’A, 1 April 2015 (IRIN) – Yemen’s war continued to escalate on Wednesday, with Saudi-led airstrikes in most major cities and firefights across the country. Saudi and its allies are seeking to depose Houthi rebels who claimed control of the capital Sana’a last September. After another night of heavy bombing on Tuesday, thousands of people scrambled to get out of the capital Sana’a for the relative safety of the countryside. At petrol stations across the city, residents queued for hours to fill their cars after rumours that the warplanes were targeting vehicles carrying petrol. On Monday, 14 civilians were killed and another 31 wounded after a strike hit a petrol tanker in the central governorate of Ibb. Many petrol stations had run dry by the afternoon. “We are waiting to get fuel because we heard that Saudi jet fighters started targeting the gas and fuel vehicles. I am really worried because in that case, people won’t be able to move,” Majid Nassar, 22, explained. Around 120,000 people have been displaced from their homes since the weeklong campaign began, according to the United Nations. Mohammed Baggash, 48, took his family out of the city as he expects the situation to get worse. “On the first day of the Saudi airstrikes, they [hit] the civilians nearby Sana’a International Airport killing and wounding dozens, and we said that it was maybe a mistake. However when they continued targeting civilians, I was forced to evacuate my family despite a shortage of water in my village,” Baggash said via phone. While the major food importers said they had enough stock for the coming weeks, in the streets people were panicking. At one store that IRIN visited, residents waited around the block for basic supplies such as wheat, bread and rice. Up to 90 percent of Yemeni food is imported, raising the risks of a food crisis. The country is partially sealed off, with airports and many ports closed. “I am [responsible for a family] of 28 people, if we lose our jobs or the Saudis block ships from coming to Yemen, where we will get food?” Moneer Rajeh, 34, said. Life-saving aid to hundreds of thousands of Yemenis is also stopping due largely to security fears. The United Nations has withdrawn most of its international staff from the capital while diplomats, oil company workers and NGO staff have also evacuated expatriate workers. While the UN and others have committed to continuing to operate through local partners, it remains unclear to what extent aid will be delivered. “Very few humanitarian actors have stayed in the country, while the needs are actually getting greater and so more supplies and human resources are required on the ground,” Dounia Dekhili, Doctors Without Borders (MSF) programme manager for Yemen, said in a statement. Elsewhere on Wednesday, the city of Aden was believed to have fallen into the hands of the Houthi rebels, according to media reports. The city has been contested between Houthis and forces allied to President Abdu Rabu Mansour Hadi for several weeks. Food prices have risen by between 15-20 percent in the city, the UN added. In the city, an emergency surgical unit run by MSF has received more than 550 patients in the past two weeks. The facility is running low on space and supplies, MSF said.